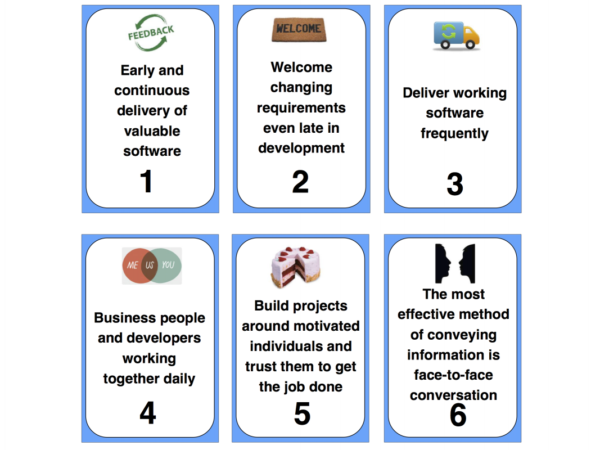 Understanding ‘why’ you do agile is important, and the agile manifesto is one of the first things we cover on any Agile Professional Foundation course. I have, however, found the wordiness of some of the principles a little daunting and let’s face it the website does look a bit like my Nan’s wallpaper! 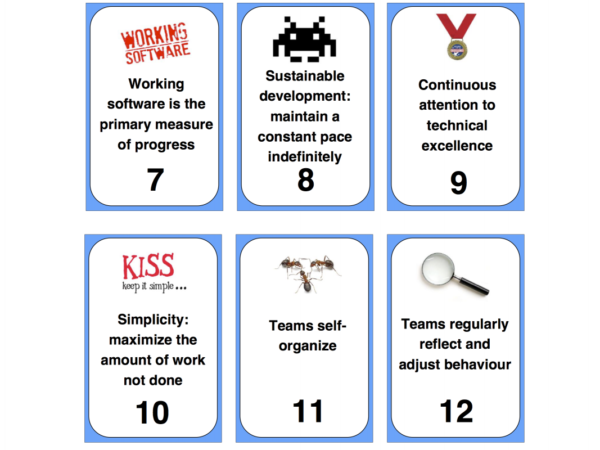 I therefore created these Agile Principles cards. I haven’t changed any of the core principles. Instead, I have abbreviated some of them on the front of the card. Wallpaper: Pop them on your office wall, to cover up your own ‘Nan’s wallpaper’! If you’d like your own set, download the pdf here, print them out, cut them out, laminate them, enjoy!